Rotational Molding is a manufacturing process that produces hollow parts by placing a powder or a liquid resin into a hollow mold. The mold is rotated on 2 perpindicular axis, typically at the end of an arm or cart. The arm or cart will move into position, allowing the mold to enter an oven. The mold continues to turn biaxially while being heated. This allows for the material to soften, disperse and stick to the walls of the mold. The mold continues to rotate at all times during the heating and cooling process in effort to maintain near uniform wall thickness throughout the part. During the 1940's and 50's this process was applied to manufacturing of plastic products. Since then a large number of improvements in process control and innovations in materials have lead to a large uptick in the demand for rotomolding. 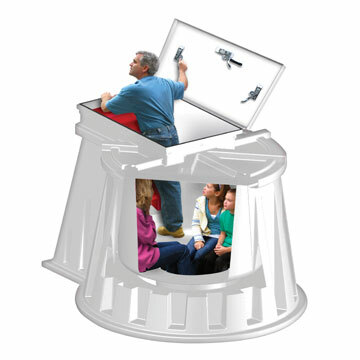 The Granger Plastics Company is an internationally recognized leader in the Rotational Molding industry. Since the company was founded in 1994, the company has excelled with a diverse background of producing large and highly complex rotomolded products. Granger Plastics prides itself on high quality production even obtaining a highly lauded FAA Quality Certification, a TSC C90d. 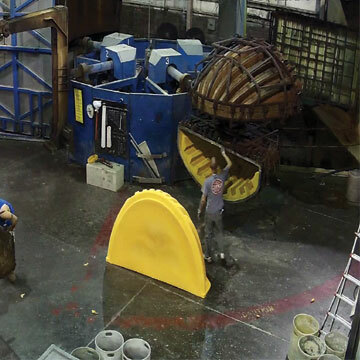 Granger molds and assembles some of the largest and most complex production items known throughout the industry, such as underground tornado shelters, air cargo containers (ULD Containers), bulk storage containers and many custom products for leading OEMs. Producing high quality products and components via the rotomolding process for over 2 decades, Granger's internationally recognized quality driven focus, engineering and full service offerings continue to garner customer accolades and OEM customers from all around the globe. Granger Plastics Company operates an in-house mold & metals shop to fabricate aluminum molds and repair existing molds for rotational molding, strictly for it's clients and customers. 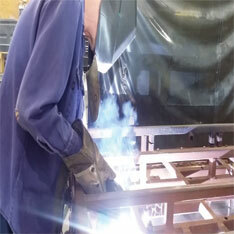 Granger also fabricates metal products and complimenting components for OEMs and various customers. Granger Plastics Company has designed and engineered a number of industry leading solutions across a plethora of industrial sectors. Granger works with its clients to ensure that their design will exceed the anticipated expectations and provide a high quality rotomolded solution. With over 10,000 custom air cargo containers to its experience, Granger is no rookie to the aviation and aerospace industry. Through this experience of building custom ULD containers for some of the most recognized international names, Granger recognized a number of vast improvements that were realized in offering a rotationally molded air cargo container in comparison to aluminum, fiberglass or many other composite materials. The reality of these improvements forced Granger to develop a line of standard proprietary ULD container offerings consisting of a LD 2 (DPE & DPN) containers, LD 3 (AKE & AKN) containers and LD 8 (DQF & DQN) containers. This line of standard ULD containers provides an incredible reduction in air worthy maintenance in comparison to previously utilized units. The large reduction in maintenance, increased flight times, faster air worthiness inspections and reduced tare weights assist in providing some of the lowest total ownership costs. 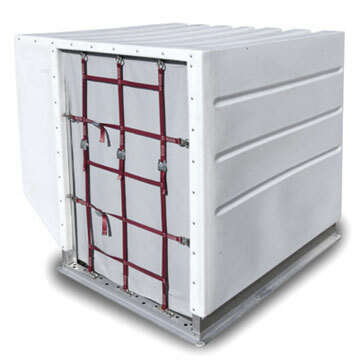 Granger Aerospace Products ULD Containers are the only Air Cargo Container produced from a combination of aluminum and durable, rotationally molded LLDPE (Linear Low Density Polyethylene). 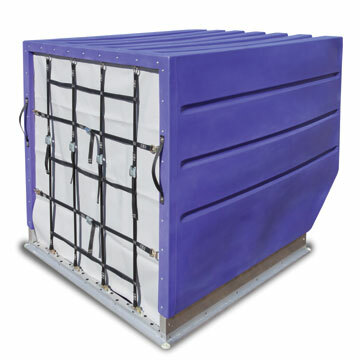 The body of Granger's Air Cargo Containers is produced via the rotational molding prociess. With the body being molded from certified, prime virgin polyethylene, the body of the container is capable of withstanding the most vile of weather elements and the roughest of ground handling operations. 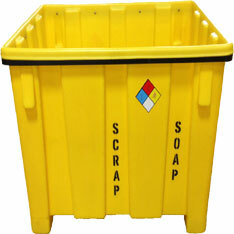 Each container is hand assembled in Granger's facility by knowledgeable, skilled employees. The body's of the containers can be molded in virtually any color, allowing any client to enhance their corporate branding, marketing and recognition. 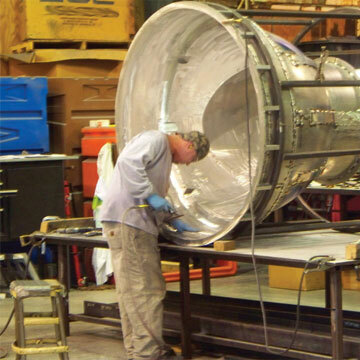 Granger Aerospace also provides custom aerospace and aviation solutions ranging from lining applications, where a specialized material is lined or molded to the interior of a metalilc surface, typically stainless steel or carbon steel, up through very specialized shipping containers for transporting motion sensitive, high value capital eqipment. The extremely specialized contents of these custom air cargo containers is remarkably susceptible to damage or malfunction if the product being container experiences too much motion or the slightest of impact. At times, the contents of these shipping containers could exceed a value of $10,000,000 US Dollars, so there is no margin for error. 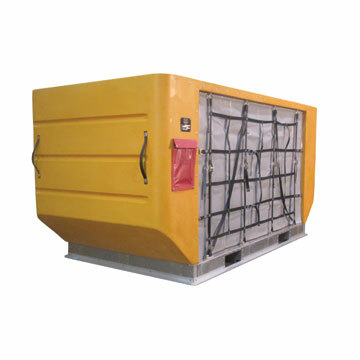 These containers are manufactured to extremely stringent requirements & demands. A large portion of these containers are eqiupped with RFID chips or GPS monitoring devices to make certain of the security and safe delivery of the container and its contents to the necessary location. 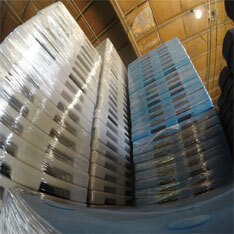 Granger Aerospace offers DPE and DPN LD 2 Air Cargo Containers. Granger's LD 2 Containers feature innovative poly construction, which drastically reduces maintenance, thus providing a lower total cost of ownership for airlines and other companies who utilize air cargo containers! 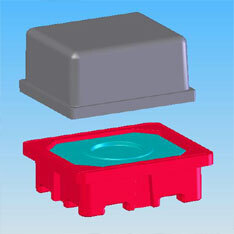 A widely used ULD Container, a LD 3, is offered by Granger Aerospace in both the AKE and AKN models. Granger's LD 3 Containers feature FAA Certification while being built under Granger's TSO C90d authorization. 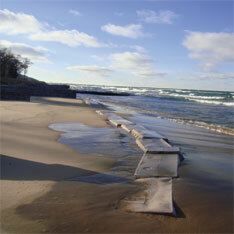 Reduce maintenance and total cost of ownership with Granger! Granger produces LD 8 ULD containers. The LD 8 container is a full width fuselage container that regularly flys in various models of 767 aircraft. Granger offers all of its ULDs including the LD 8 with a single piece custom color Poly shell, thus reducing maintenace and total cost of ownership. 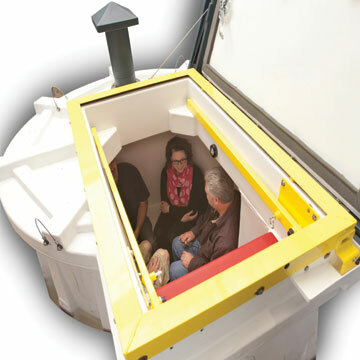 Granger Plastics has been involved with the production of underground tornado shelters for nearly 2 decades. In the last several years, Granger has designed, developed and successfully marketed America's leading single family underground storm shelter, the Granger ISS. The Granger ISS is the only single family, double wall, foam filled, rotationally molded underground shelter that has a safe room quality door that exceeds FEMA 320 and FEMA 361 debris impact standards. Thousands of families and a growing number of small businesses have trusted the Granger ISS to provide near absolute tornado protection for their loved ones and employees. With an industry leading 1,000+ year life span, the Granger ISS is the only tornado shelter your family will ever need to purchase. Granger's underground tornado shelter innovation is the only underground shelter on the market to offer a complete array of industry leading features coupled with a lifetime warranty, with an actual shelter that will provide near absolute protection for the lifetime of each and every family member. The Granger ISS offers innovative features not commonly found on other underground shelters. For starters, it's unique, patented design allows for the unit to be installed in as little as half of a day, as it does not require any concrete or anchoring materials for most all standard installations. 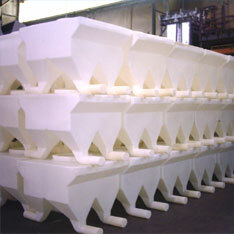 This alleviates the need for heavy concrete trucks to gain access or additional expense or costs. It's patented reverse taper design allows for the unit to stay in the ground, even in high water table areas, with the fear of floating out of the ground. 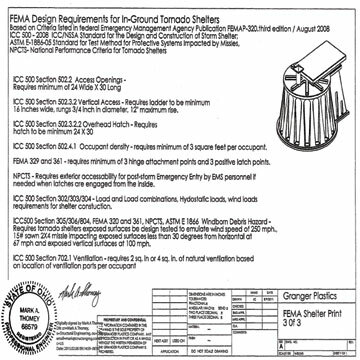 Granger's multi-layer door is possibly the only underground shelter door that meets or exceeds both FEMA 320 and FEMA 361 Debris impact standards. Offering superior protection, the door of the Granger ISS Tornado Shelter is protected by a lifetime warranty as well. The door is offered in a variety of attractive colors to match your house, landscape or even your favorite team's colors. Granger also offers the door with an UL listed level 3 or level 6 Bullett resistant door upgrade. The Granger ISS also features a durable, molded 3 step entrance, articulating handrails to assist in the entry and exit of the Granger ISS shelter, a battery operated LED light, a molded 60" diameter circular seating area providing room for 6 or more adults, 3 point locking system, double gas assisted shocks providing easier entry and exit from the unit. The Granger ISS Underground Shelter has been featured on dozens of news stations and broadcasts all aross the United States. The unit has also been featured on a number of industry specific shows and channels including The Weather Channel, House Smarts TV and even in the Netflix TV series "The Unbreakable Kimmy Schmidt". Granger continues to be internationally recognized for it's commitment to near absolute tornado protection with its innovative Granger ISS Tornado Shelter. The Granger ISS provides one of the safest doors in the Shelter industry, exceeding FEMA 320, FEMA 361 and ICC 500 standards and specifications. Granger has produced industry leading tornado shelters for nearly 2 decades. The Granger ISS Underground shelter offers industry leading near absolute tornado protection for your family! Remember your loved ones forever, with ForeverSafe! Tough economic times have plagued a growing number of communities across the globe. A trend that has experienced an unfortunate increase through these troubled times is cemetery theft. A growing number of cemeteries and families are experiencing the theft of a cemetery flower vase or even burial urn in some cases. Typically, the thieves steal the products in effort to sell as scrap metal for mere pennies on the dollar, versus the cost of replacement, usually at the family's expense. ForeverSafe Cemetery Flower Vases offer a beautiful look and finish that does not comprimise on quality or beauty to provide security for your loved one. ForeverSafe's custom proprietary finished match and blend with many common headstone and memorials. Our granite like finishes come in several colors such as grey granite and terra cotta granite options, while others contain a metallic-like effect, such as our Antique or Mahogany cemetery vases. The ForeverSafe Cemetery Flower Vase is sure to please as an addition or a replacement to a marker or headstone. Durable, rotationally molded polymer construction ensures that it is impervious to weather elements, UV and even weed eaters! Provide security for your loved one with a water-tight ForeverSafe Cremation & Burial Urn. ForeverSafe's gorgeous metallic and granite like finishes give the appearance of a high end urn without the price tag and fear of being stolen for scrap metal values. 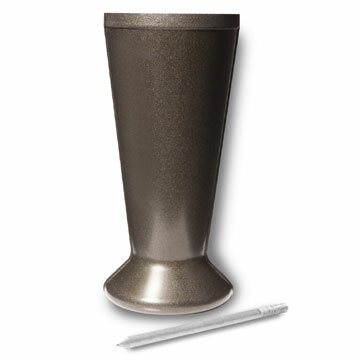 The Urns feature stainless steel screws, molded in brass inserts and an anodized aluminum security plate, that when in conjuction with the neoprene gasket, allows the burial urns to be water tight. Bring flowers and remember them forever, with ForeverSafe! 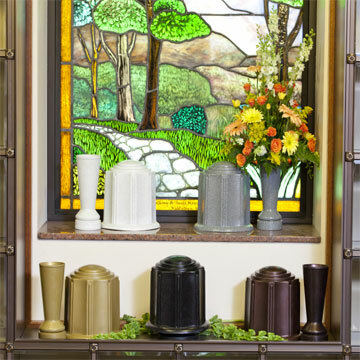 ForeverSafe Cemetery Flower Vases custom proprietary finishes match and blend with many common headstone and memorial colors, while offering theft deterrent materials. Bring flowers forever with ForeverSafe. 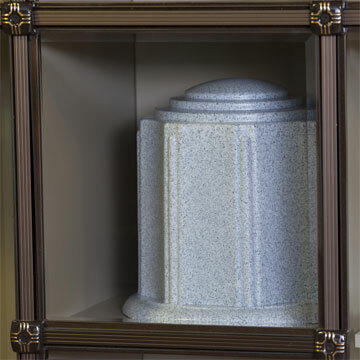 ForeverSafe's combination burial urn vault provides water tight protection. Featuring stainless steel screws, molded in brass inserts, aluminum security plate and neoprene gasket, the ForeverSafe Urn offers water tight profection! Placing memorials at a gravesite is a timeless tradition. Why should thieves be rewarded for desecrating it? Let's stop this thoughtless behavior one cemetery at a time with Foreversafe Cemetery Vases and Burial Urns.